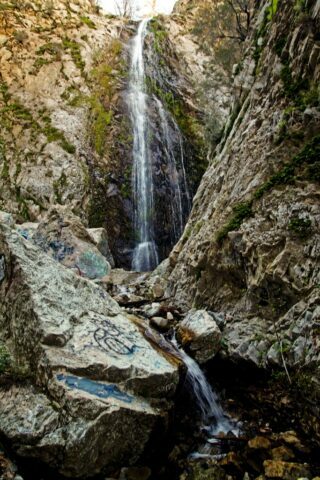 As far as waterfalls in Southern California go, I have seen a lot. 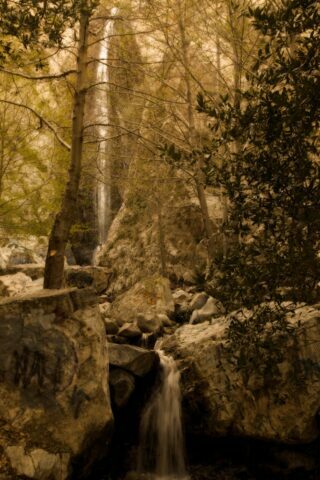 I think if I had to pick a favorite though, Bonita Falls would probably be it. 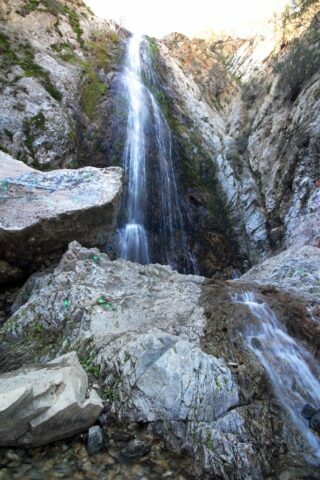 This majestic waterfall falls over 100 feet which by Southern California standards is massive. 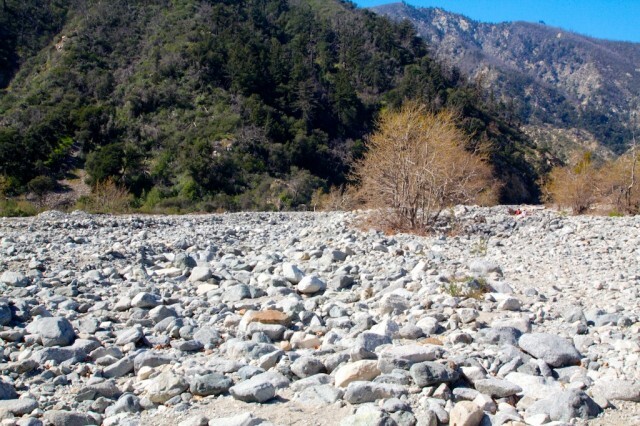 It is an excellent example of the gems that are often missed in our area and a perfect first hike for people that are not used to hiking but want to try it. 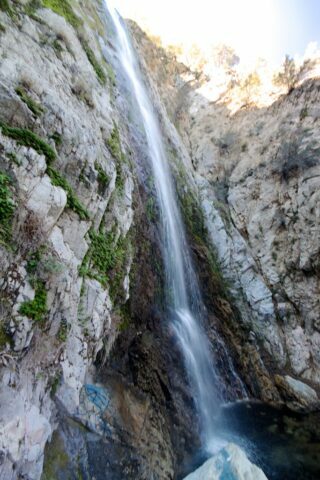 Seeing a waterfall like this so close to home has helped me turn many a friend onto hiking. 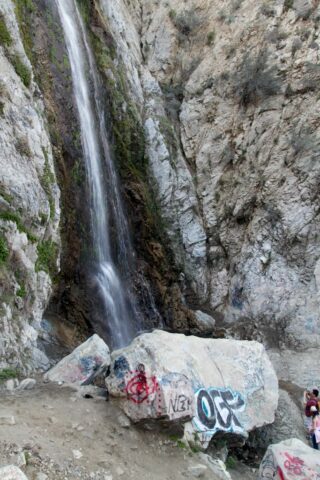 The one complaint I have about this waterfall is the increasing amount of graffiti that is found here each time I go back. I can’t fathom who would want to do this and if you are reading this, please stop! For everyone else check out how to see it for yourself below. 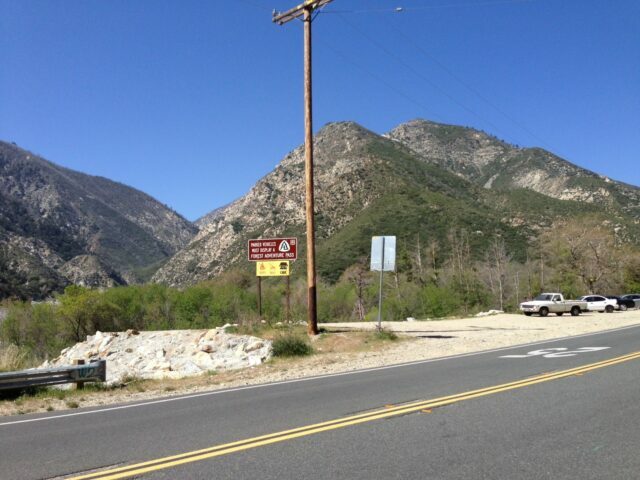 After exiting the 15 freeway at Sierra Ave, you will proceed under the freeway and onto Lytle Creek Road. Continue on this road for about 5 miles until you see the below turn off. There is not much in the way of signs or anything so you will need to watch for this and if you hit the main town, then you went too far. Let me preface this by saying this hike is easy to get lost on if you do not know the way. 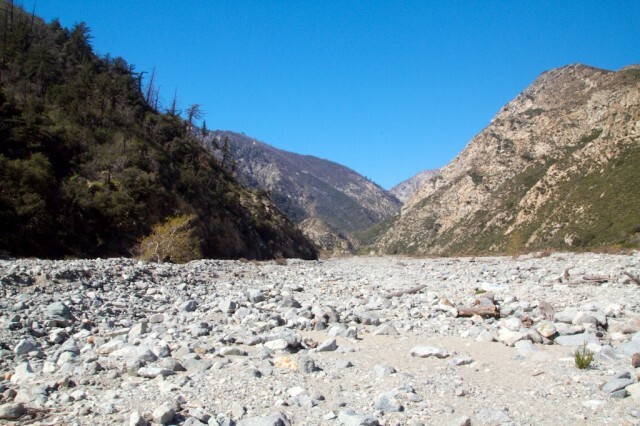 It is an easy 1 mile each way, but you must follow the instructions to find it and if you are worried about getting there check out some other blogs as well. 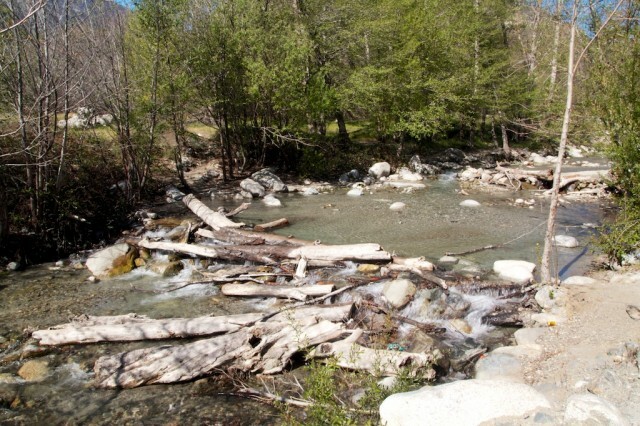 The hike begins with a small river crossing. There should be multiple ways to get across without getting wet but make sure to be careful. From here the hike dumps you into the rock wash that you will be walking on the entire way. For directions to get to the falls, I would just say keep left. 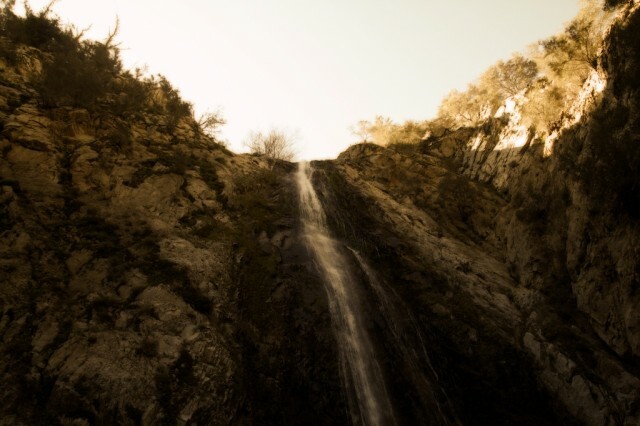 The waterfall will be on a small trail on the left that you shouldn’t miss as long as you stay on that side. 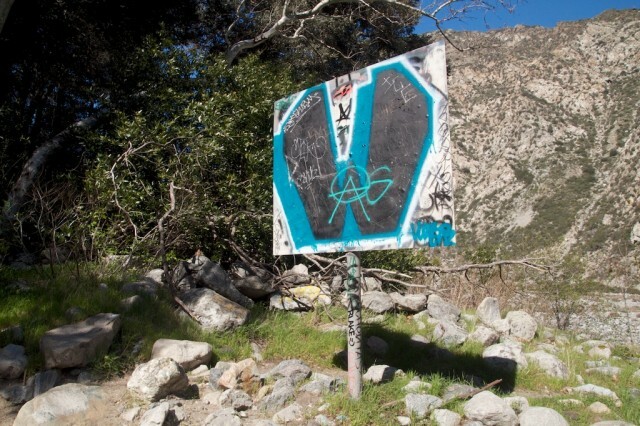 After about 3/4ths of a mile, you should see a small path heading up the left side of the mountain with lots of green trees and even a graffiti arrow. This path will take you up into the incline and towards the water. You should see this sign as you proceed up as well. Continue walking about a tenth of a mile, and you should hear the water and see the first glimpse of the falls. From here you can just continue to push up to the base of the falls and explore. Notice how big they are compared to the lady in the above picture. Here are some of my favorite pictures of the falls. The water at the base of the falls is probably only a foot or two deep so you will not be doing much swimming, but when we went in 2013 the water was flowing pretty good, so in the spring I would expect the falls to look impressive. You can continue to climb above the falls I am told, but I have not done it and cannot comment on it being safe or not. The base of the falls are a fantastic place to take your family and enjoy a snack in this beautiful area. That being said it gets more and more destroyed each time I am there so make sure if you are checking it out to do your part to pack out your trash or even pick up the garbage left by others. 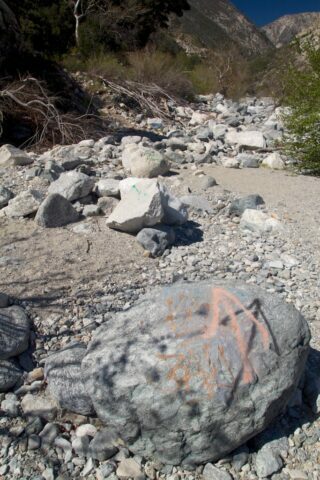 This is a beautiful place to hike to and one that we should continue to keep clean. From there you merely head back out the way you came. 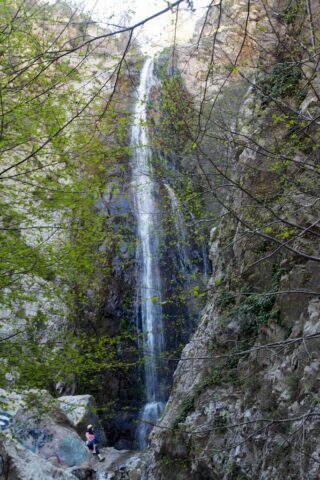 If you have been to this waterfall, I would love to hear about it in the comments and make sure to check out the pictures and get directions for yourself below.